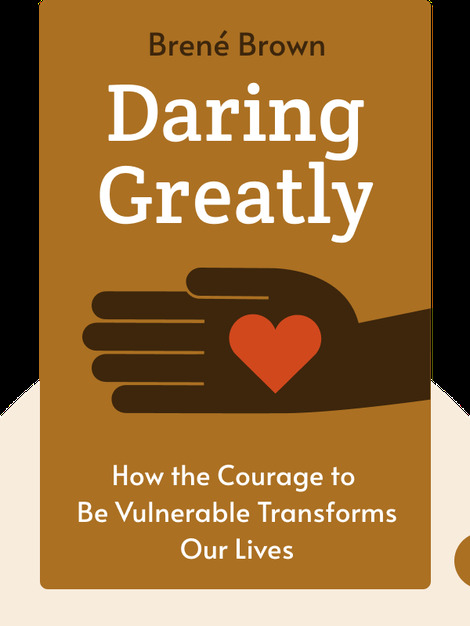 Daring Greatly explores how embracing one’s vulnerability and imperfection is necessary for achieving real engagement and social connection. Through explaining our deep-seated reasons for shame, and showing how to embrace our vulnerability, the author aims to provide guidance for a better private and professional life, and to initiate a fundamental transformation in our shame-based society which, according to the author, needs to adapt a new culture of vulnerability. 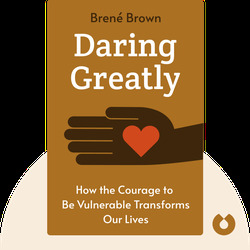 Brené Brown, PhD, is an awarded and renowned research professor at the University of Houston Graduate College of Social Work and has been researching the topic of shame and vulnerability for more than a decade. Her former work includes other books related to the topic such as I Thought It Was Just Me (2007) and The Gift of Imperfection (2010).